Welcome to Charming! 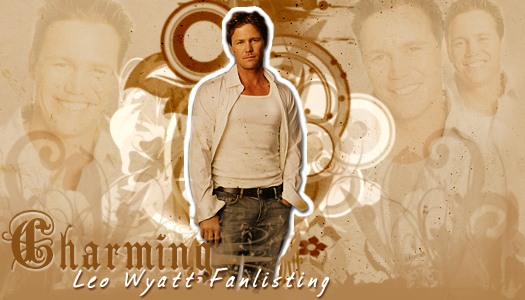 This fanlisting is for the loveable Whitelighter from "Charmed", Leo Wyatt! Leo is played by actor Brian Krause. This is the one and only fanlisting listed at TheFanlistings.org. This fanlisting is powered by Enthusiast It was last updated: March 3rd, 2019 and has 558 members from 46 countries. There are 0 pending members with the newest members Faith and a growth rate: 0.12 fans/day. It is owned by Chrisie. We're listed at TFL.org. I don't know Brian Krause or anyone connected with any of the cast or crew that was involved in "Charmed". No copyright infringement intended!